Receive up to $60 by mail when you purchase a new set of four (4) Mastercraft LSR Grand Touring, Mastercraft Courser AXT, Mastercraft Courser MXT, Mastercraft Courser HSX or Mastercraft Courser HXT tires October 1st, 2017 through November 15th, 2017. Receive up to a $100 Visa prepaid card by mail when you purchase a set of four Ecsta PS91, Crugen HT51, Ecsta 4X II, Solus TA71, Crugen Premium KL33, or Ecsta PS31 tires from April 1, 2017 through May 31, 2017. For the 4th year in a row Vulcan Tire has been awarded the Bizrate Circle of Excellence Award. Only 97 online retailers received the The 2016 Bizrate Circle of Excellence Platinum designation, representing the top 2.7% of all retailers within the Bizrate Insights North American Retailer Network. Thanks again to our customers and to Bizrate/Connexity for the recognition. 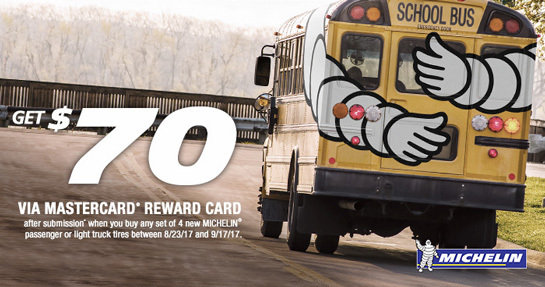 Get $60 Back by Mail with the Purchase of 4) Pirelli P Zero or 4) Pirelli Scorpion tires August 26, 2016 through October 3, 2016. * All four tires must be the same model and purchased at the same time. Receive up to a $80 Visa prepaid card by mail when you purchase a set of four Ecsta 4X II, Crugen HT51, Solus TA71 or Ecsta PS31 tires from May 1, 2016 through June 30, 2016. Receive up to $60 by mail when you purchase a new set of four (4) Mastercraft HSX Tour, Mastercraft Avenger Touring LSR, Mastercraft Courser AXT, SRT Touring or Mastercraft Courser HXT tires April 1, 2016 through April 30, 2016. 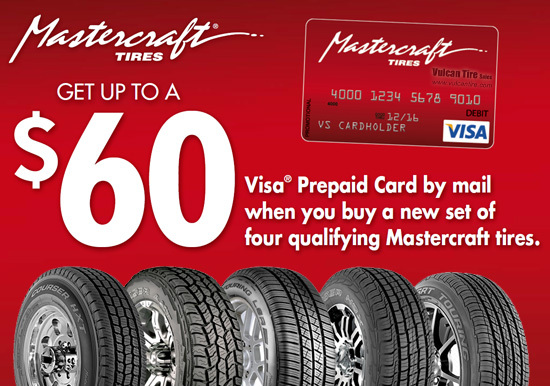 Click here for great discounts on Mastercraft tires! 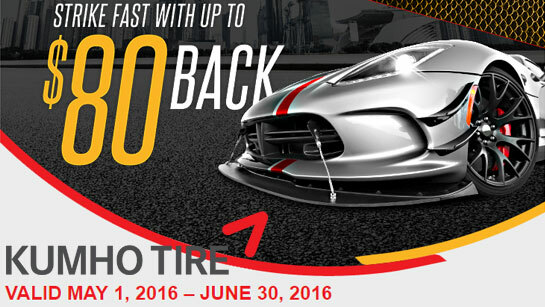 Get $60 Back by Mail with the Purchase of 4) Pirelli P Zero, 4) Pirelli Cinturato, 4) Pirelli P6 Four Seasons, 4) Pirelli P4 Four Seasons or 4) Pirelli Scorpion tires March 18, 2016 through May 2, 2016. 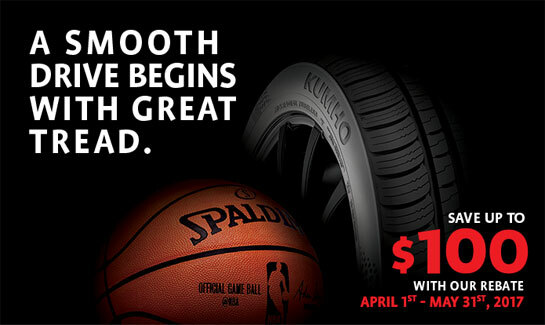 Click here for great discounts on Pirelli Tires! While many PressurePro dealers are reporting they have no PressurePro sensors, Vulcan Tire Sales (vulcantire.com/tpms) has hundreds of PressurePro sensors in stock and ready to ship. The manufacturer of PressurePro TPMS sensors recently explained that the sensor shortage is related to the lack of availability of a key integrated circuit (computer chip) used in the production of the sensors. Projections indicate that it may be mid March before most PressurePro dealers see their stock of sensors replenished. For the 3rd year in a row Vulcan Tire has been awarded the Bizrate Circle of Excellence Award. Only 84 online retailers received the The 2015 Bizrate Circle of Excellence Platinum designation, representing 2.6% of all retailers within the Bizrate Insights North American Retailer Network.